I have written numerous letters to you pondering our shared Christianity and how faith intersects politics in this nation of ours. Although you and I see faith quite differently, still as a pastor, it is important for me to share my thoughts with you because you are my senator, but also because you are a candidate seeking to be President of the United States. I have to say: the way you use your faith in the public arena disturbs me. What I see is more a profound and dangerous misuse of faith. 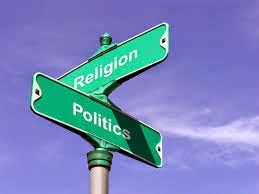 As a Christian, I believe fervently in America’s promise to keep faith and politics separate in our official policies. State legislatures and local municipalities struggle to balance the importance of both religious freedoms and civil rights. However, in too many actual and proposed public policies, a particular fundamentalist version of Christianity has unbalanced the discussion and demanded that this way of being religious should be inordinately privileged. Too often your words are divisive and accusing. Too often you fuel the fires of fear and disrespect. This may be the standard practice of politicians but a president must strive to unite the nation’s citizens while honoring the wide range of diversity inherent among Americans. That said, as much as I am concerned that the rights of everyone should be protected, as a pastor I am even more concerned about the rampant misuse of faith and how that damages Christian witness. When a Christian baker or florist or pizza parlor owner claim it is their “right”—because of their faith—not to serve someone, I will claim they do not understand how authentic Christian faith is to behave. Christians who claim that their own rights are more important than Jesus’ call to love and serve others demonstrate a sadly inadequate faith. 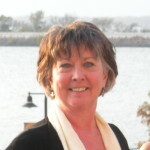 Christians who claim they are entitled to wield corporate power in order to avoid serving those of whom they disapprove show they have no real understanding of the Christ who loved and welcomed “sinners.” Self-serving self-righteous self-centeredness has no place in either faith or politics—no matter how pious or fervent it may sound. When you conflate faith and politics and encourage followers of the Christ to elevate their own rights over the rights and needs of their neighbors, you pervert the faith of these who have put their trust in you. When you conflate faith and politics and applaud the misuse of corporate power in the name of Christ, you betray both third-party citizens and Christ. This fusion and confusion of faith and politics disturbs many of us. Religion inappropriately wed to political power has been a bane throughout human history and so I urge you: please do a better job of maintaining a wall of separation between your Christianity and your politics. Any one version of religion with its particular doctrines and dogmas has no place determining broad public policy in a diverse nation such as ours. Make your arguments as a public servant and leave your dogma out of it. If you would be President, then show us an active concern for the rights of ALL Americans, not just some. OK Joan. Would you like to talk about it? Can you tell me how you disagree? Very well said and written. Thank you so much. Keep on keeping on. I’ve heard that this sort of political Christian referencing is what is keeping some of our citizens from voting at all. Some are so fearful of either offending their God or arousing the wrath of “the others” that they just don’t participate. Part of the plan to win by any means? If a politician is not afraid to espouse his particular religion – yet not use it as a tool to gain popularity, they have my vote. Anybody know one? Thank you for your words of wisdom. May they reach the right ears and sway hearts. Cannot disagree with you more, as a woman of faith, you should take every opportunity to spread the Good Word and assert your beliefs, be it politics or in the church. Otherwise you are denying Jesus like one of his disciples did. Separation of church and state only means that religious leaders should not hold a position in government. 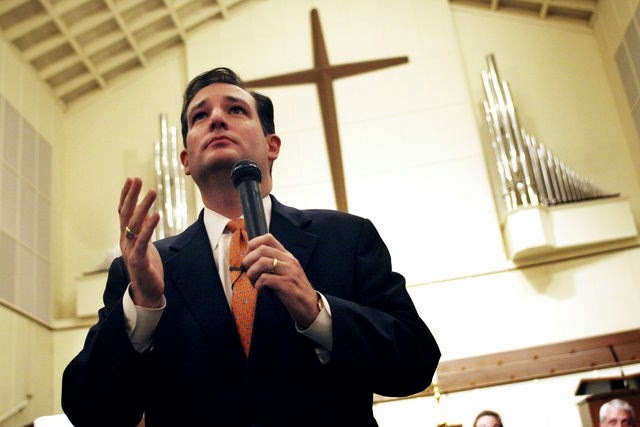 Ted Cruz is not a religious leader, but his beliefs will help him govern. Our culture is at stake here, and is disappearing quickly, the country’s morals are deteriorating like the Romans did, and remember the Fall of that empire. I don’t believe that abortion rights will ever be changed again, and it shouldn’t be a part of politics, if that’s all you’re worried about with Ted Cruz. But, Jihad is real, the US population has dropped to 1.9 per family, in contrast, the Muslim population is increasing exponentially at a rate of over 8, Two generations from 8 million will become 80 in this country. And if the radical muslims multiply with those figures, we are in trouble. This needs to be addressed with immigration restrictions, we cannot sit idle while this happens or our children will lose our culture, and the USA will become a socialist state. No pulling punches and going through life on Prozac, if a black baker doesn’t want to make a cake for the KKK, then he should just overprice the cake or replace the sugar with salt so they won’t ask him to again. If a muslim cashier doesn’t want to touch bacon, then they shouldn’t work at a store that sells it. The Irving, TX mayor didn’t pull any punches when the Muslim leaders wanted to establish Shiria Law in her town. I do respect your right to believe in your principles, but when you use your pulpit to preach against Ted Cruz using Christianity in his political speeches, aren’t you doing the same thing he is doing? Thanks for you comments David. We will agree to disagree. The country’s morals may seem to be disappearing, but that may have more to do with evolving social norms, unfettered advertising, soft news and materialism than it has to do with Christian dominance. Christianity does not have a monopoly on good behavior. Indeed, we can understand why people behave the way that they do more effectively by studying other primates and human history – and this leads me to doubt that Mr. Cruz would be an effective president. He appears to lean too heavily on a book that claims all the answers are down to good or evil – this is a terrible way to look at the world if you are looking to make effective policy, because it ignores the actual reasons behind why things happen; and in the context of inerrancy, it doubles down on that shortcoming – there is no room for correction or critical thought, or other explanations. This leads to incuriosity, a terrible trait for a president to have. (You will note that you and I assume Ted Cruz is to be taken at face value – if he is simply using Christianity to score his base, I would not be surprised. He certainly wouldn’t be the first politician to do so – be wary of those who loudly proclaim support for the sacrosanct in order to get votes). 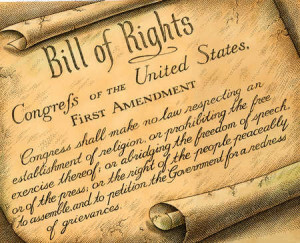 Ironically and fortunately for you, if we uphold the constitution, we need fear no sharia law – for the separation of church and state is clear, and the reasons why this was added to the constitution are well documented in the correspondence of the authors. If we can lead the world in critical thinking, discourse without violence, and place a value on and encourage higher education, we will fear an influx of people from other parts of the world much, much less. The more we understand about our world and the more we can encourage the rest of the world to follow reason and truth – wherever it may lead – the less superstitious and reactionary we will be, and the better off the world and it’s denizens will be. I think that anyone who knows a little about military logistics would disagree that the number of muslims vs the number of christians on this planet is a relevant statistic when it comes to referring to the threat of Muslims whiping out American Christianity. Maybe when the Muslim nation gets a navy we might start to have something to think about. The British didn’t allow fear to control them when they had the third reich bombing their land every night. We are going to let a group of 3rd world bedouins control our thoughts and actions? It is the US occupying their land. It is the US that brings war to their land. If you haven’t noticed US war on foreign soil tends to end up with thousands of refugees from the war torn countries to end up in the US. If people are concerned about the Muslim population rising inside the US maybe its time to quit having war in the middle east over our oil interests. If Christianity’s true virtues of doing onto our neighbors had anything to do with the way our country is lead we would never had put American personnel into another countries land. If we hadn’t done that we would not be at war in the middle east. The GOP collects christian votes by trumping up the threat of Muslims even though they do not have the military resources to actually present a threat of invasion of US soil. I’m pretty sure Ted only believes in himself…..
No, David, no! Not at all! Subterfuge to exercise one’s faith? Or to subvert another’s? C’mon, now. What’s biblical bout that? Any bible? Mr. Cruz buys into the illusions that we are separate from God, and by the extension one another, that there is only one way to God, and that we truly have something to lose. Through these beliefs, that are commonly held, he creates anger, us vs. them…all of which are designed to control, exclude and separate us through fear. The things that you speak of losing are constantly changing and have been “lost” many times even in US history. Life and culture are fluid, not static, and there is no way to change that. Reverend Charlotte, on the other hand, seeks to have us note our differences and rejoice in them. 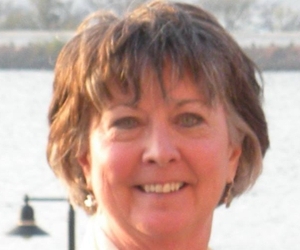 She notes that Jesus was inclusive of all…and would not agree that the brand of political/religious rhetoric is working to further spread the Love of all that is the core message of his teachings. 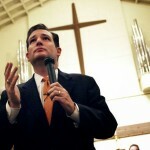 Cruz uses his faith to judge. Reverend Charlotte uses hers to notice and guide…big difference to me. separation of church and state, David, also means that it isn’t the job of the government to enforce religious beliefs as civil law. Oh please don’t be dim enough to claim that our country’s morals are deteriorating. Considering this country’s history includes such grand immoralities as slavery, Jim Crow, the attempted genocide of the Native Americans, denying women their equality, denying Jews safe harbor when they were fleeing Hitler, etc. You probably should recognize that no…the past years of the United States were not more moral than the United States now..they were less moral. Having been born a mere 40 years ago, David, and knowing what I do about US history..yeah the current time period of this country is far more moral than the previous years. Is it perfectly moral? No…but it’s lightyears ahead of where we used to be. The only reason you sit there and say the past was more moral is you are wearing rose tinted glasses that prevent you from seeing the ugly truth of our past. To quote: And if the radical muslims multiply with those figures, we are in trouble. Funny..where is your concern about radical Christians? You know..like that terrorist in Colorado a couple months ago. 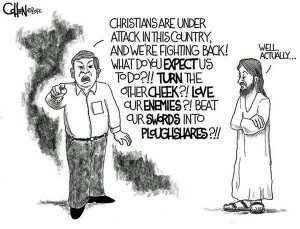 Christian radicals, David, have committed more acts of violence and terror in this country than Muslim radicals. And stop with that BS delusion of yours that all Muslims are like the Taliban, Al Qaeda or ISIL. No..they’re not. What you’re really whining about, David, is this: Waah! The United States is no longer a country where we white Christians are dominant, We white Christians no longer have all the power and we can not screw over everyone else at will. Oh btw..I’ll point out for you. The Roman Empire died…after the religious zealots took over. The Roman Empire died after people like Ted Cruz took over. Considering Christian Dominionists like Ted Cruz want to take over the country, destroy the US Constitution and turn the United States into a Christian theocracy very much like what the Taliban did to Afghanistan..you probably should be far more scared of the devils you’re defending, David. Curious how you don’t have a problem with Jews and Christians doing exactly the same thing you object to Muslims doing. Would you like to explain the hypocrisy? Ill make it more specific for you, David. This is what killed the Roman Empire: The Christian church taking over and imposing its’ religious beliefs into Roman civil law. It persecuting all non-Christians and treating them as second class. It doing everything you right wing Christians want to do here. Coupled with this: Concentration of all the wealth, power and rights into the hands of a privileged few. Funny..isn’t that what you conservatives are attempting to do here in the United States? You probably shouldn’t be talking about morality as if you conservatives are oh so morally superior..you’re not. As Ezekiel said in the Bible: ‘Now this was the sin of your sister Sodom: She and her daughters were arrogant, overfed and unconcerned; they did not help the poor and needy. Gee..that sounds very much like conservative Christians. Sorry, turning the United States into the Christian version of Iran is not the answer. It will not protect or save this country..it will destroy it. That makes Ted Cruz and his ilk the actual threat. As for your paranoia fest about Muslims..why and when did you surrender to the terrorists? After all what the terrorists want us to do is to be scared, fearful and hateful to all Muslims. They want us to believe that they speak for and act for all Muslims when in reality they are a small little minority. After all..if we treat all Muslims as the enemy that means that the terrorists will have an easier time recruiting more terrorists. Because they’ll have all the actual evidence necessary to prove their claim true..that the United States and the West hates all Muslims. So again..why did you surrender to the terrorists? Our God is an awesome God! When we do what He commands us to do – love Him with all our hearts, love our neighbor as ourselves, and love our enemies, He will take care of everything. We don’t need to be afraid. He doesn’t need us to help Him out, and when we try to, we just get in the way. God’s grace is the most powerful force in the universe, and everything else falls before it. Amen Sherman! Each of us has a voice. We need to use it. One or two letters won’t make a difference but thousands and thousands just might. Thanks for your comment and thanks for doing your part. I no longer participate in organized religion due to the right wing acceptance of people such as Cruz. It is sad but I would feel like a hypocrite because I totally disagree with the right wing agenda and feel these people are dangerous. I still believe in Christianity but can no longer tolerate organized religion. Thank you for expressing my thoughts exactly and in such a well worded piece. I am a Christian but unlike many who wear that mantle as if they own it, I actually try to practice the teachings of Christ (the root for the word “christian” by the way). I don’t hate anyone for their sexual orientation, color of their skin, country of origin, gender, or anyone, for that matter. What I do hate are blatant bigots who wrap themselves in the flag and profess to be Christians when they are obviously not, and try to justify their bigotry because I may be different than them. I’m not. I just believe Christ loved everyone and if one was a true Christian then why wouldn’t they, too?. Yes Sue, I agree love is the true test. “Love God and love neighbor,” Jesus told us; “love sums up the Law and the prophets.” In my opinion, there are many misguided Christians who somehow have come to believe that judging someone else’s behavior is a kind of tough love. Some of them hate and blatantly misuse the name of Christ, but many good people really think love demands that they call others out for their “sin.” Jesus’ called out the religious hypocrites and welcomed the “sinners.” Thanks for your comment. The Senator’s choice of the word “jihad” in such a context shows that he either has no understanding of the word or/and he has no qualms about fear-mongering to attain his goals. Neither is an attribute worthy of a president or legislator! So very true love the letters me I am not as nice I would show up with aluminum bat in hand and give him a testament.. But these types God don’t like ugly and the republican party is very ugly..
Hah Clifton! “Love your enemies” has never been easy, has it? I also sent an email to the junior Senator from Texas. I mentioned and quoted from your letter adding that he’s missed many meetings of the Committes of which he’s a member due to his campaign activities. I suggested that if can’t perform those duties, he should step down. Finally, he has a fundamental duty to be a Senator from Texas FIRST and, if he can’t perform thaf duty while also campaigning, he should step down from that too. I don’t expect an adequate answer. I never get them from his office but I won’t stop letting them know, this is one Texas resident who disagrees with his political, social, and religious behaviors. Good for you Devon! One or two letters probably won’t make much difference but LOTS of us writing Again and Again has to get their attention! We won’t stop! Excellently written piece. I may quote you on occasion .. thank you.. Thank YOU Janet. Let’s all keep speaking truth to power. I have been waiting for true Christians to stand up for what is right. So glad to see this is beginning to happen. Of course this will be dismissed for a myriad of reasons on Cruz’s side as the word “Christian” is but a tool for him to use. I wish you the best in your endeavors Rev. Coyle. Thanks Jonathan. I figure the more of us speak out, the more likely public opinion may turn away from the misuse of the concept of Christianity and reclaim its authentic meaning. Charlotte, I must first tell you that I am neither conservative nor a Christian. However, I have raised the very same concerns as you with some conservative Christians that I have met. My Facebook inquiries to them, at first, were met with a response that I was being ungentlemanly and insulting, and then with no response at all. While I, as a non Christian lay person, can understand and appreciate your position and explanation of that position, I cannot understand how Ted Cruz, and others, rationalize their thoughts while hiding behind the veil of religion and The Bible. I appreciate your efforts and look forward to your future comments. Religion and Politics are extremely powerful, Randy. Throughout human history, people who want to control and manipulate have used and misused religion, wed it to politics and amassed all kinds of power that they can wield without critique. Some do it intentionally; some I think really believe in the perverse religion they have created. Many of those who have been manipulated (many good people) have bought this vision of twisted Christianity and lost sight of the way of love as lived and preached by Jesus Christ. Thus my one small effort to speak out. Keep on keeping on; it takes all of us to change the conversation. Thanks for your thoughtful comments.